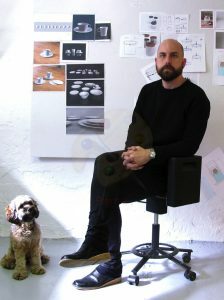 Studio Ek is a newly started specialized design studio and producer, working with tableware and kitchenware both in different kinds of experimental artistic production and industrial design consulting/production. Their studio and workshop is located in the heart of Gothenburg. Studio Ek’s products in our shop. Read more about Studio Ek at the website.